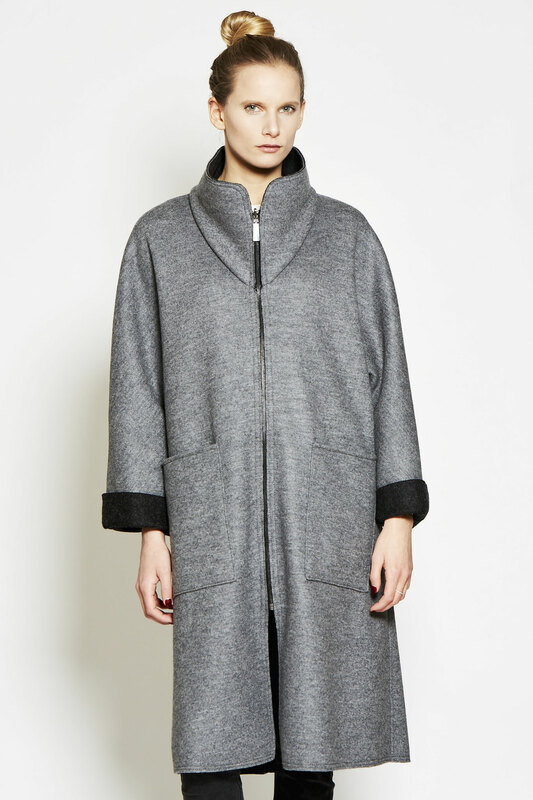 This reversible outdoor coat made from high-quality double-face loden is anthracite on one and comes with a grey on the other side. 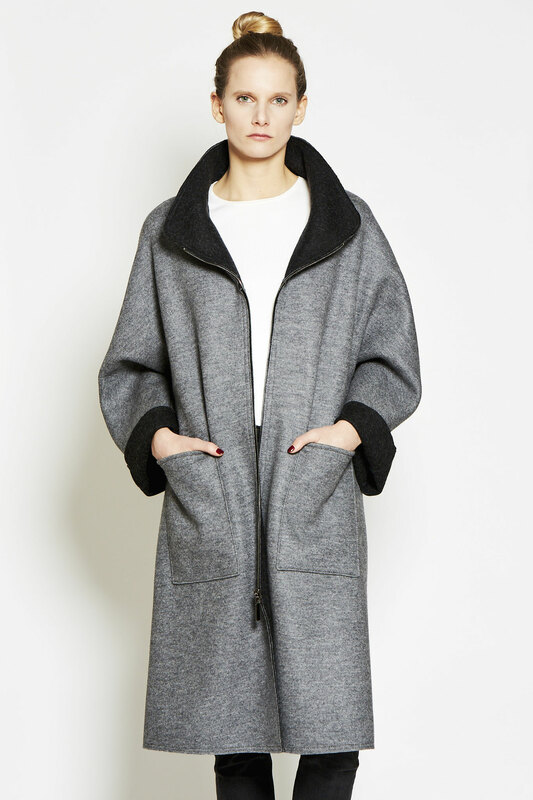 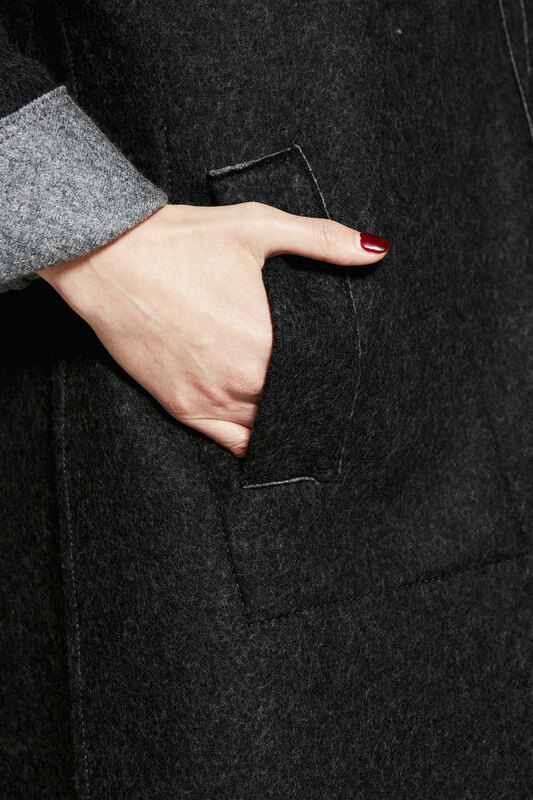 The oversized coat has a slight A-line shape and can be closed with a zipper. 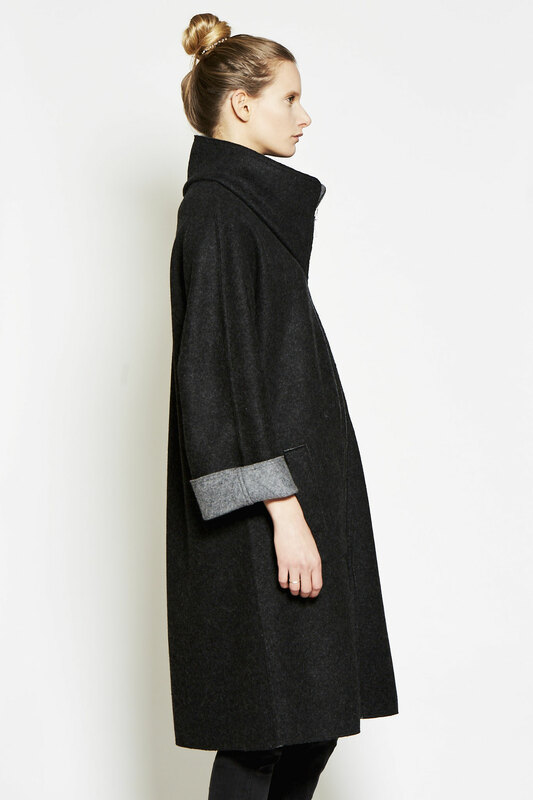 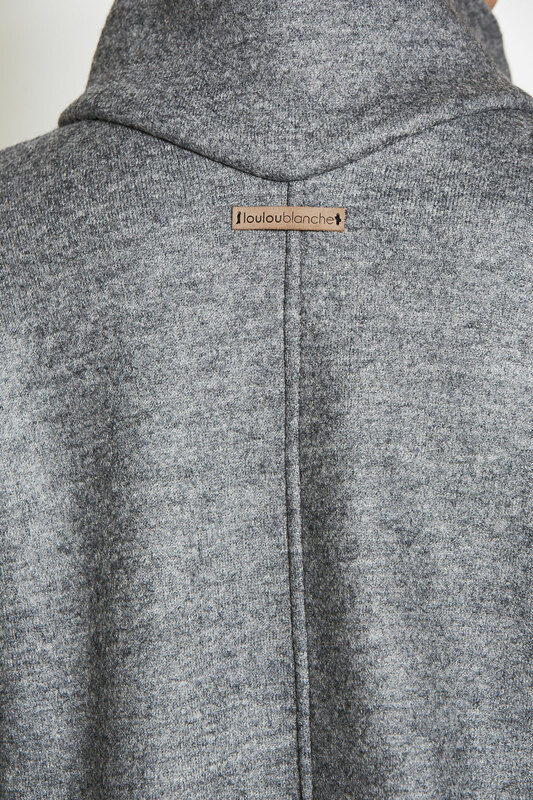 The funnel neck can be worn as a stand-up collar or down in an Audrey Hepburn style. 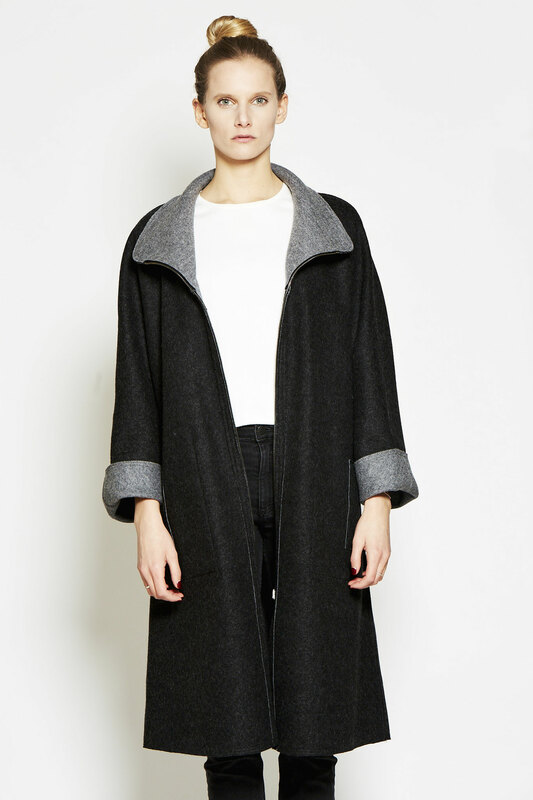 The W-IO coat is an all-rounder, it can be casually worn as an oversized coat, as well as combined elegantly with a pair of heels. 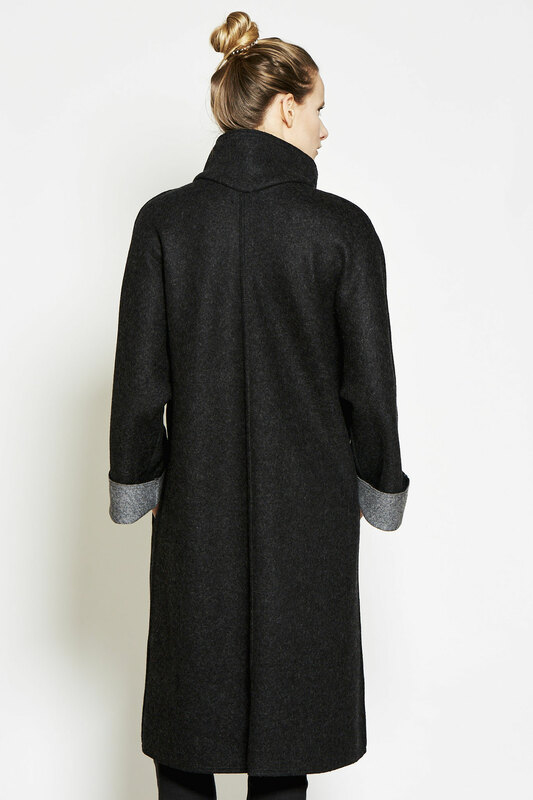 It is perfect for the transitional season, as well as cool summer nights, or combined with a cosy jumper, to keep you warm in winter.